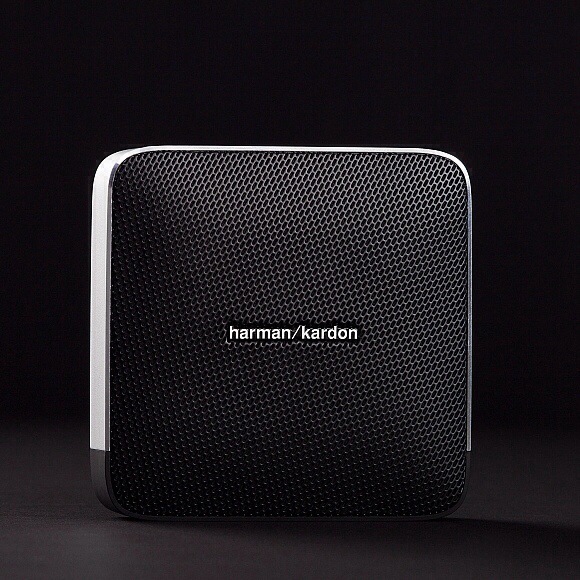 The Harman Kardon Esquire is a Travel Speaker Done Right. Harman Kardon has been on a tear lately with a slew of killer products featuring clean functional design. From headphones to speaker systems, they have been setting the high bar in terms of visual design aesthetic and materials used. The new Esquire speaker is a great example of the new Harman Kardon product line up. This little, portable speaker not only features Bluetooth, it has NFC for all those Android devices that are packing that technology. At $250.00 it isn’t cheap, but if it’s anything like the Aura speaker system I own, it’s worth the money. Esquire is a wireless audio system with designed with travel in mind. The speaker has dual drivers, a built-in bass port, and can be used for music listening around the house, office, or on-the-go. In addition, Esquire can be used with Bluetooth-enabled smartphones to make clear, no-fuss conference calls. Esquire uses custom-tuned microphones and noise cancellation technology to improve call quality even in noisy environments. Prepare totravel in a completely different way. 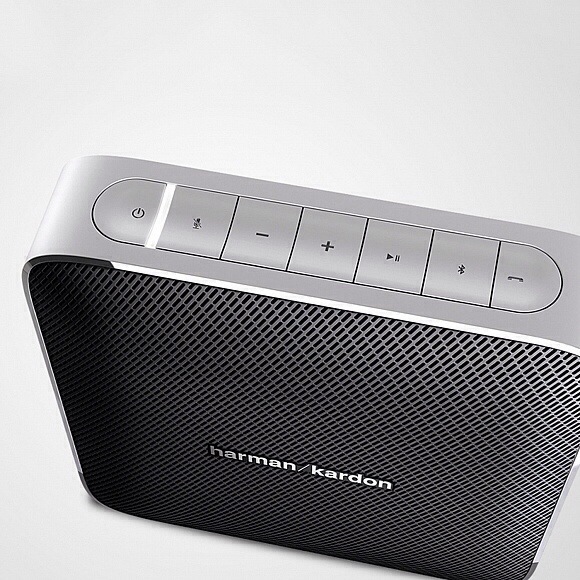 The Harman Kardon Esquire is your new, on-the-road, wireless audio system. Esquire is a Bluetooth®-enabled speaker with a built- in conference phone system that redefines how you take your music with you. This durable, portable speaker is crafted out of fine materials with a leather panel and metal finish on the outside. On this inside, it’s pure Harman Kardon engineering, with dual drivers and a built-in bass port for clear sound, as well as custom-tuned microphones and noise cancellation technology for clear conference calls from your Bluetooth®-enabled smart phone. Top performance and outstanding design, this exquisite, portable speaker from Harman Kardon is substance and style. It looks as good as it sounds. Posted in Music and such and tagged Bluetooyh, Design Aesthetics, Esquire, Harman Kardon, Industrial Design, NFC, Travel Speaker on May 27, 2014 by Author. ← Pebble 2. Wireless Charging Made Beautiful.